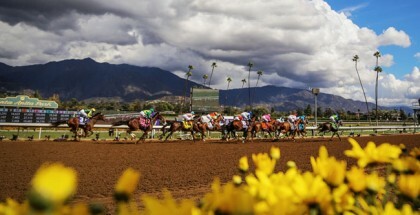 Santa Anita Late Pick 4 Picks May 30, 2015: As is its habit, Santa Anita Park features interesting races in the late Pick 4 that offer nice odds. 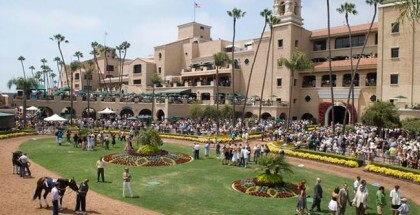 The main event will be the Californian Stakes (GII) with the presence of Moreno, Big Cazanova, and Catch a Flight as the main contenders. 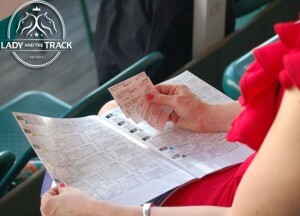 This week, we’re again analyzing the late Pick 4 for the Saturday, May 30, card. Bronze Star broke his maiden on October 26, 2014, in a 1-1/16-mile race at Santa Anita. In that race, he beat good horses like Pioneerof the West and Prospect Park. Then, he returned on May 9 in a six-furlong race, finishing second 4¼ lengths behind Cherubim. It’s important to note that Cherubim would not lose to anyone that day. In his second race off the layoff, Bronze Star is stretching out to a two-turn race, a distance at which he should feel comfortable. He is eligible to improve since his trainer has a good winning percentage when his horses run their second races off layoffs. I’m using Bronze Star as a single, and I’ll try to find longshots in another race. Badasmywifeletsmeb was a creditable fourth in his last race after being forced to start from the awkward inside post on the downhill turf. Now, he draws an outside post that will help him have a good trip. In his debut, Shemp was off slow at the start but quickly took the lead and won the race by a neck. Since that race, he has recorded two nice works and looks ready to win again. Living Water has not raced since August 2014, but he has high speed figures, so if he returns in fit condition, he will surely be in the mix. He also has two good races on the downhill. On paper, Not Enough Eddie looks weak, but this son of Square Eddie has done very well on the downhill. Mario Gutierrez insists that this horse is a good runner, so that is a sign of confidence. Rallying off the pace, Catch A Flight looked very solid in his Precisionist Stakes victory. Now, the presence of Moreno and Big Cazanova guarantees solid fractions which should benefit Catch A Flight. He acclimated very well to U.S. racing, and his workouts indicate that he is ready for a big effort in this company. Catch A Flight should handle the distance, and his running style perfectly suits this race. I’m using him as a single and look forward to seeing him run against top company very soon. 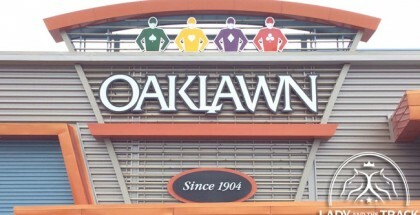 The finale is a very wide open race, so I’m using five horses as I’m not sure of the best way to hit this one. Pay The Fine did very well in his first try over the downhill. In that race, he traveled wide into the stretch and was able to finish third, just 1½ lengths behind the top two. Seedsandstemsagain is the most experienced horse of the field with good performances over the downhill. Tiago Pereira insists with this horse, and he will surely will be in the mix again. Real Big Deal was a respectable fourth in his debut in a 6½-furlong race on the dirt. For this race he recorded a nice work of four furlongs in :46.1, so he is ready to improve. Shanty Irish failed as the favorite in his last start, but he looks fit in the mornings, and Flavien Prat takes the mount. Although Unusual Alex was tenth in his debut, he finished just 7¾ lengths behind the winner. He is doing great in the mornings, so he deserves a shot. I’m also playing both singles to win.